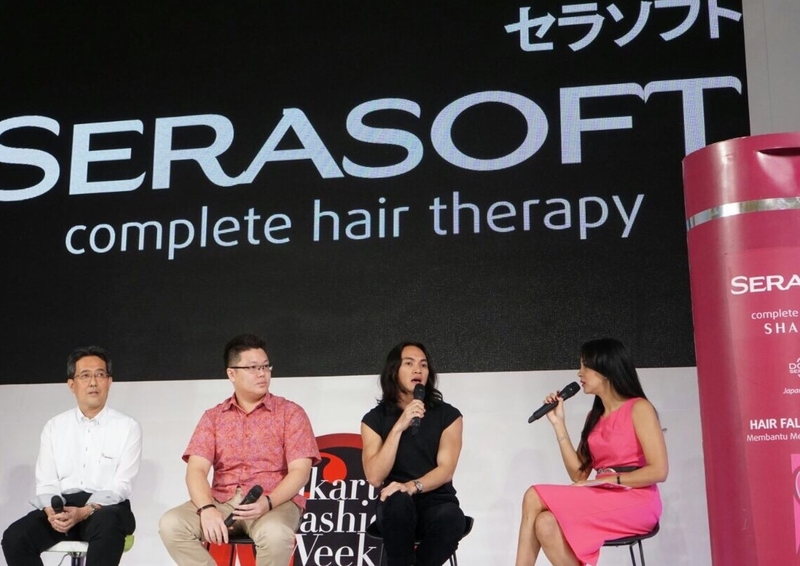 Just now (October 25, 2017) our Hairstylist, Shabura, became the speaker for SERASOFT Press conference at the stage of Jakarta Fashion Week 2018. Serasoft is the first serum shampoo in Indonesia which containing DGA Serum created from Japanese technology. Held in Senayan City Jakarta, together with Serum Expert and Fashion Designer, Shabura as a professional hairstylist share his experiences and knowledge about the best treatment to maintain our hair. Because the good clothes are not enough to look gorgeous, it must be supported by the healthy hair.